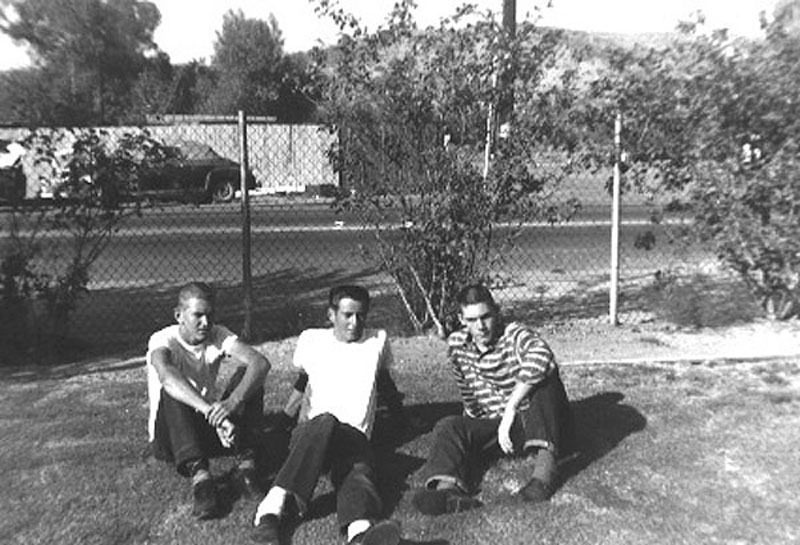 (From left) John Swallow, Bill Rice and Richard Schaub, at the Rice home at San Fernando Road and 15th Street, summer 1959 after graduation from Hart High School. Newhall "junk yard" across the street. WR5903: 19200 dpi jpeg from smaller jpeg | Online image only.